Every digital agency has their own set of guiding principles and philosophies. This is what makes each unique, and one more compatible with your business than the next. For that reason, most design firms tend to keep their special formula pretty close to the vest. In this new 3-part blog series, we are lifting the veil of secrecy, stepping out of the cone of silence, and opening our vault at ACS Creative to share with the world what we call The Infinite Marketing Loop. Although there may be no definitive “start” to the loop, we’ll begin by diving into Website Optimization. The key to advertising is repetition and recognition. We just saved you four years tuition on a Marketing degree (you’re welcome)! In order to stay top-of-mind among both existing and potential customers, your brand needs to follow people where they go and be where they’re looking. One of the most critical pivots you can do for your business is to abandon the notion that marketing is an occasional event when, in reality, it should be a constant, ongoing effort. Social, organic, and paid marketing are all effective methods for driving traffic—but you need somewhere to send them. 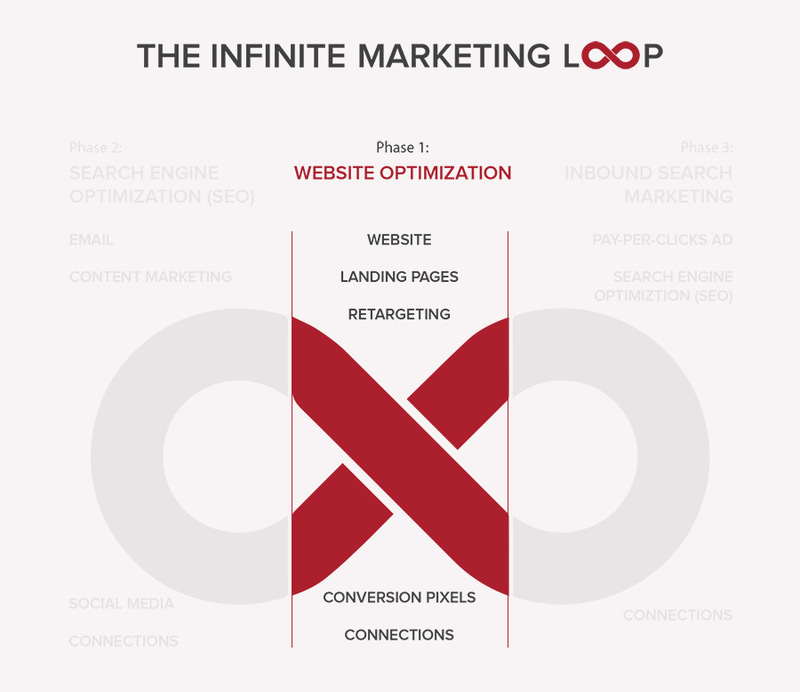 The Infinite Marketing Loop begins with a symbiotic combination of website, landing pages, retargeting pixels, traffic analytics, and conversion measurement. When we talk about Website Optimization in this context, we are not referring to SEO (that comes later). Although each piece of the loop works in conjunction with the others to convert visitors into customers, Website Optimization is at the core. Your website provides the platform for prospects to take action, pick up the phone, submit a form, or purchase a product. Adjusting and updating your site on a regular basis will yield the best results for your bottom line. Having a beautiful website if great. Having an effective website is better. This means understanding your audience and accommodating different types of visitors, their needs, language, and learning styles. No matter who lands on your website, a clean, well-organized layout and navigation will always do wonders to improve the overall user experience. Some visitors quickly scan web pages and others read every word. Make sure your content is structured in a way that appeals to both. You may have seen instances of “innovative” navigation in your internet travels. When it comes to your site, keep it simple and familiar. Don’t make your visitors work harder for the sake of being different. Define a clear call-to-action and place it prominently throughout your site. You have no control over what page people land on, but you can certainly nudge them in the right direction from there. Your visitors could fall within any number of browsing scenarios from slow internet to outdated browser to physical disability. Poise your website to accommodate any and all potential customers with minimal load times, responsive design, and basic Accessibility standards. Let’s assume you have a beautiful website that contains all the content and media anyone could ever ask for. Unfortunately, there is still one tragic flaw—it’s too much. Landing Pages give us the opportunity to provide targeted segments of visitors a more personalized and concise sampling of your business. Of course users have the freedom to click around until they arrive at your site’s homepage if they wish, but a well-conceived landing page should include everything needed to complete a conversion. Although landing pages are most often utilized in PPC campaigns, they can draw some organic value if linked to from your main site. It’s no coincidence that you saw a banner ad for Moen on CNN’s homepage after spending the previous day researching kitchen faucets. In this instance, Moen has no direct advertising agreement with CNN whatsoever. Your computer simply picked up a harmless, invisible pixel (cookie) from their site and will now occasionally see their display ads on platforms that utilize the Google AdSense program. Consider the endless scenarios in which an individual might visit your website and not buy or inquire. Sure, they may be genuinely disinterested or unimpressed—but what if they just didn’t act in that moment but would in the near future? Fast forward a week and this same potential customer is ready to commit but can’t quite remember the name of your company. Devastating right? This is why repetition is vital to effective advertising and why Retargeting should be a part of your Infinite Marketing Loop. After a visitor visits a site containing a retargeting pixel, they will begin to see ads for that business on the sites, apps, and social media platforms they frequent. This persistent brand reminder will continue for about 30 days or when the person completes a conversion—whichever comes first. Surely, that was a fascinating primer in Retargeting, but what’s this about tracking conversion completions? Glad you asked! Google Analytics, in addition to most PPC platforms, allow website owners to place a unique Conversion Pixel on their confirmation or receipt pages. Suffice (it) to say, every time that pixel is fired (activated), a conversion has occurred. This method provides a tangible means of measuring the effectiveness of your landing pages, emails marketing, organic efforts, paid campaigns, and website as a whole. Whether it’s an e-commerce transaction, mailing list subscription, or form submission, conversions are everything and the numbers don’t lie! 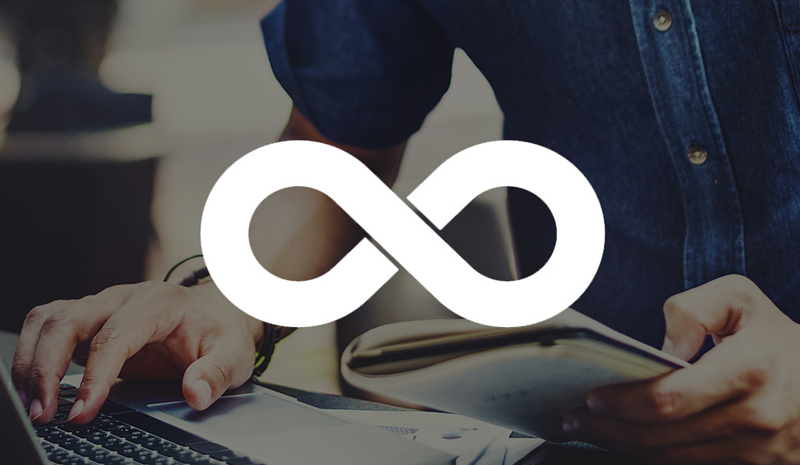 As we continue this 3-phase reveal of ACS Creative’s Infinite Marketing Loop, one constant theme will remain: connections. Alone, these tactics are one-off “spray and pray” efforts with little potential for long-term growth and success. However, together, they connect with each other, compliment each other, and lift the effectiveness of each other over time. Our team can help strategize, execute, and measure how your business turns visitors into customers online.